By planning the route your journey takes before you leave, you can spend less and use your time more efficiently. Take a look through our free guides and maps before you arrive in the capital. London is large metropolitan city, so it is always advisable consult a map before you make your journey, whether that is by foot, on a bicycle, by river, London Underground, DLR or bus. The simplest way get about in London is to make use of the city’s public transport system. This particular leaflet includes really handy maps of Central London, its transport networks, its many attractions and other useful information. 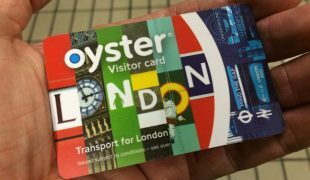 It also includes advice on the best travel tickets to buy, as well as walking and cycling routes for visitors to enjoy. This easy to read map makes light of navigation through the extensive London Underground system. As well as listing every one of the underground stations in London, it also shows each of the stations that have ‘step free’ access for those with limited mobility and links to trams, airports and riverboat services. It is the ‘must have’ navigation aid for a trip across London. Aside from travelling by foot, London buses offer the cheapest option for getting about in London. Having a London bus map in your possession will make you aware of the best bus routes to take to travel around Central London and London’s many suburbs. It also shows night bus routes and what’s known as a ‘spider map’ that shows exactly where each and every bus stop is located. This guide will help you make the most of what East London has to offer. From fine dining, a night out or a spot of shopping a free guide to the DLR will help you get where you need to go. Famous venues in the area include the O2 Arena, the famous Cutty Sark, Canary Wharf and the Westfield Shopping Centre. All parts of Central London can be reached by using the one network that is London’s Overground Rail system. This free map allows visitors to plan a trip across London and to the outer areas of the capital. Overground services go as far as Stratford, Shoreditch High St, Euston, Shepherd’s Bush, Hampstead Heath and Kensington Olympia. Thames Clipper services offer regular boat trips along the Thames, which allow for a relaxed and leisurely way to see London. These services stop at the London Eye, Embankment (Ideal for the West End), The Tower of London, Greenwich and Westminster (For the Houses of Parliament). If you’ve ever had a problem getting around using public transport due to mobility issues, then this accessibility guide will be very useful to you. Detailing the locations of ‘step free’ tube facilities and assisted public transport, you’ll get where you want to go much more easily. Want to see London and get some exercise at the same time? Then we recommend you to check out this Cycle route map, which will show you the best way to get to know London on 2 wheels. Not only will you benefit from the physical activity, but it will save you money too! Find locations of Cycling ‘Superhighways’ and cycle lanes across the capital. You’ll see much more with this unique way of seeing the city. Don’t get caught short when in the capital, by using this extremely handy map detailing toilets located at Underground stations. You’ll also find baby-changing areas on it, so that most urgent of duties can be sorted out quickly and as easily as possible. Want to see London how nature intended? This useful guide to the walking routes around the capital will allow you to make your way across the city by foot. Routes detailed on this map take in attractions such as Greenwich Park, the Olympic Park and the O2 Arena. Take a walking route through Central London and you’ll see iconic landmarks like Buckingham Palace and St Paul’s Cathedral. 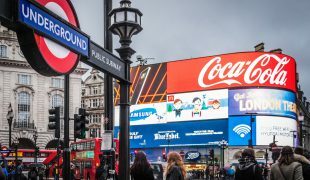 If you’d rather leave your route to the experts, then why not follow one of the predetermined transport routes, like Bus Route 94, that takes you past some of the most well-known tourist attractions in London. You’ll also get ‘inside’ information on when the quiet times are, so you can enjoy the tourist destinations with minimal queueing. This easy to read map shows colourful maps that make finding local points of interest, simple. All itineraries included are free.